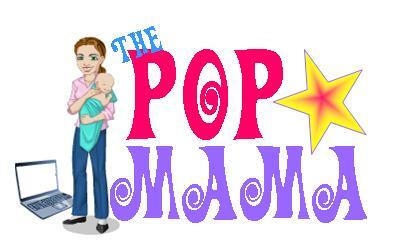 Pop Mama: Well, hello there February! It's the first of the month. Okay, I couldn't resist writing that (as I sang the Bones Thugs in Harmony song out loud). January brought the end to a few things that I love: 30 Rock for starters. I watched the final episode last night and loved how they tied it all up. Tina Fey = Hero. Parenthood also wrapped their season -- with some very cheesy "we're all so happy" moments. What else happened in January...Hmmm...oh, on the Real Housewives of Beverly Hills someone had a dinner party and the ladies attacked each other and caused a ton of repeat drama. And Kim is crazy. Not drunk, just crazy. I wonder how much she pays her life coach because that would be a sweet gig. Oh, and Taylor is becoming a bit of a Kim from last season -- you know, a train wreck that drinks a lot and cries a lot. It isn't as fun to watch though because as my husband pointed out, her lips are too scary. Okay, enough cattiness for today -- let's move on to a few parenting things. What my kids are doing these days to annoy me. Don't get me wrong, I love love love these little monkey boys with all of my being and wouldn't trade a moment with them, but here are a few things that I am sure some other parents can relate to. 1. Turning off and on the lights repeatedly. Cam can finally reach the light switches. Joy. 3. Turning the television off and on repeatedly or pushing every single button available. Henry can finally reach the television. I hope that he is okay with not having one once this one breaks. What am I saying, he won't care, but Cameron will when he can't demand Team Umizoomi at all hours of the day. 4. Emptying out a drawer of clean clothes into the laundry hamper. Mr. H. loves this game. 5. Throwing down sippy cups after taking a drink. I don't know why this one bothers me SOOO much, but seriously, Henry, put it down gently or at least upright. You are killing me smalls. Last weekend the Mr. and I curled up on the couch both nights and watched some Redbox rentals. Gotta love Redbox and the coupon codes, right? We got the Bourne Legacy and The Watch. One serious and one funny. I like the Bourne series and definitely thought the latest was worth a watch. Jeremy Renner is not quite Matt Damon, but it was still a thrill. As for The Watch, it was silly and made both my husband and I laugh...Vince Vaughn, Jonah Hill and Ben Stiller are in it and although the premise is ridiculous, the execution of it was quite good. Basically, Ben Still starts a neighborhood watch because of a local murder and then they discover (and I'm not blowing it at all) that there are aliens in their town. There were some great lines in it and I love seeing a skinny Jonah Hill. For a couple bucks these two rentals are good options.